Allowing a mobile device to recognize environmental elements can truly make an application dynamic. Because consumers live and breathe by their mobile devices, having environment-awareness available in mobile devices keeps users on their toes and engaged in their environment. This concept is called geofencing, also known as context awareness. Awareness of their physical environment for mobile applications brings more depth and attractiveness to an application’s user experience or UX. It engages the user by sending individually tailored data to their phone based on their geographical location. This plays a critical role in executing in-app mobile marketing and mobile app retargeting campaigns. “Context awareness is a property used in mobile devices to identify where the user is using an application and how that might affect what the user is doing,” – Matt Carver at Bigspaceship. “In a context-aware environment, wireless devices such as environmental sensors, radio frequency identification tags, and smartphones send location, presence and other status information across the network. Specialized software captures, stores and analyzes the data, sending it back over the network to provide context to the end device as needed,” – Computer World. 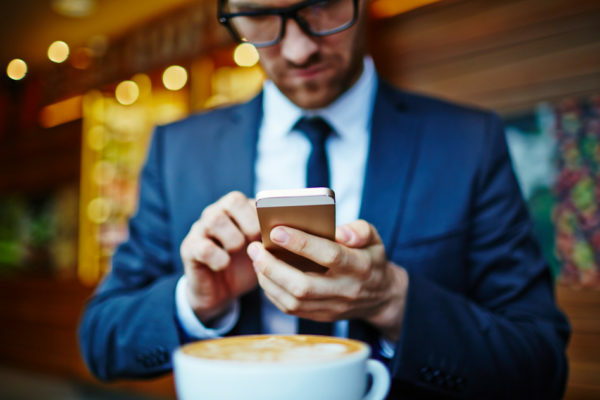 Having a mobile device react to its environment and offer advertising suggestions in terms of retail therapy or even a coffee shop facilitates the needs of each user. “The ultimate goal of a context-aware system is for the system to arrive at a representation of the surrounding world that is close to the perception of the user,” – Interaction Design Foundation. The layering of data allows the use of time of day and GPS coordinates to create a customized, ever-changing source of space and time relevant content for the consumer. They might provide breakfast suggestions in the morning, clothing suggestions relevant to elevation and weather, and locations for cocktails in the evening. Geofencing is the ability for a mobile device to pinpoint the context of the user’s geographical location. “Context-aware applications look at the who’s, where’s, when’s and what’s (that is, what the user is doing) of entities and use this information to determine why the situation is occurring,” – GA Tech. Mobile devices allow consumers to always be connected to the world around them. These connections can have difficulties. Computer World sheds light on challenges involving context awareness. One challenge of context awareness is privacy issues. Because context awareness uses data from the mobile device as well as environmental data, data breaches can occur. Being able to balance the security risks against the rewards is something that will be answered in time. Geofencing is an interesting feature for mobile devices and applications. This functionality advances the capabilities of the smartphone for the specific user’s advantage. By having a more dynamic experience with your mobile device, it is no wonder that consumers fill every moment of the day looking at their phone. Advertisers and marketers will continue to take advantage of this desire for customized content and hyper focus audience targeting. The success or failure of any project can be measured if you keep an open eye and know how to measure your company’s performance. You must have measurable data order to understand the significance of any market action. Goals must be set as benchmarks of success or failure. These goals should be realistic and attainable. These measurable benchmarks are referred to as “Key Performance Indicators” or KPIs. These are items that “help an organization assess progress toward declared goals.”-TechTarget. These measurements “are used to evaluate factors that are crucial to the success of an organization,” – TechTarget. KPIs allow organizations to measure the results of their campaigns. These items help to tweak current goals to better sell their product or service. Well set KPIs can determine the success of an organization. Simply stated – if you can’t accurately measure your established performance, there is no way you will be able to modify precisely those behaviors for growth toward your goals. Because organizations in every industry vary, the KPI’s need to reflect those organizations must differ . Each KPI is relevant to a specific purpose. While the basic premise is the same, the goals for each team will be dependent on what the result needs to be. KPIs for a mobile marketing campaign can measure the lead generation and the capture of a customer, but those KPIs will differ from a hospital’s patient ER wait time. The goal of a KPI is to find the best possible way to gain success without spending enormous amounts of time, effort, and money to get there. When an organization thinks up a new idea, product, service, or campaign, the result and their needs goal has to be assessed. Which means, “before you start assigning KPI’s to everything you can think of, there needs to (be) a clear understanding of your business objectives and strategic directions,” Intouch Marketing. Organizations must ask questions before, during, and after the launch of the campaign to determine the importance of their KPIs. For KPIs to be successful, an organization must know how to translate the data. “If management cannot translate the importance and understanding of the businesses KPI’s to their employees effectively, they will most likely fail,” Intouch Marketing. Management must be able to quantify the statistics to their employees, so those individuals can execute the campaign to drive success. Success is something that every organization wants and needs. 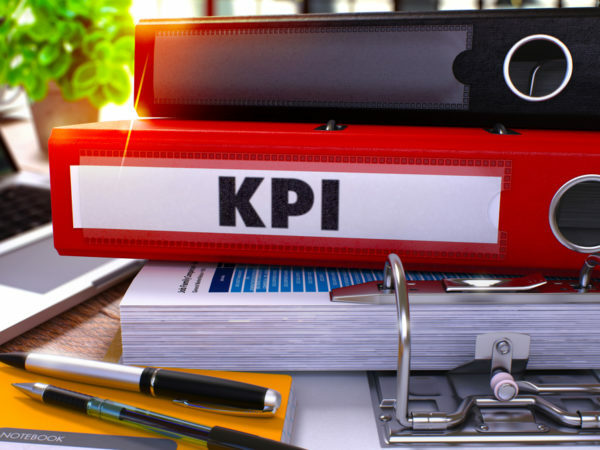 Measuring KPIs is a key tool to reach those achievements. Organizations must always have an action plan for end results whenever initiating and executing something new into the mix. Otherwise, not setting goals will inevitably end in failure. Be wise and use those KPIs! If you need guidance on measuring your corporation’s growth and performance, contact Colure’s Project Managers to help you define your next step for corporate growth.